Purchase a base for the costume by picking out a green t-shirt, dress or other piece of clothing at a thrift shop. A simple article of clothing without other decorations and embellishments will work best. Buy silk leaves at a craft store or floral shop. 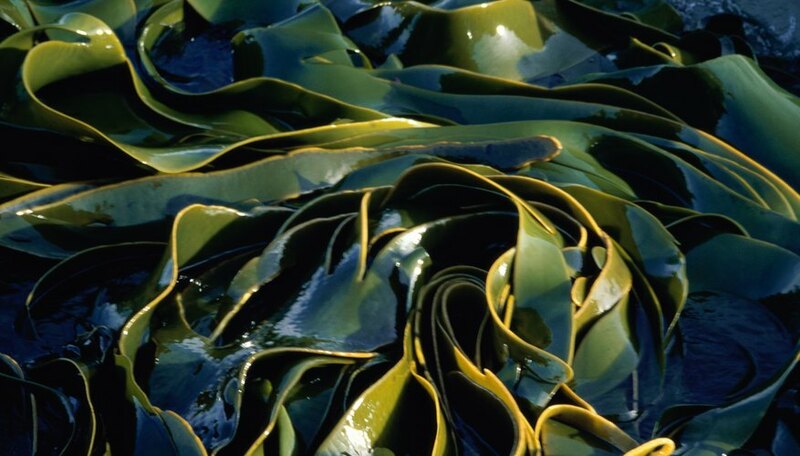 While any leaves will successfully cover the dress, long and skinny leaves will look the most like kelp and seaweed. Stick a small drop of hot glue at the stem of each leaf, then press it onto the dress until the entire dress is covered in a luscious layer of greenery. Create a headpiece. Glue a fluffy green feather to a green fabric headband or beanie, to look like a seaweed moving with the waves. Glue a scallop shell at the base of the feather for another ocean-inspired decoration. Complete the costume by wrapping a green seaweed boa around your shoulders. Gluing shells and plastic fish to the costume also help make the costume look more like seaweed.